Many realty experts will tell you that the kitchen is the most important aspect of the house when it comes to making a sale. The kitchen certainly should be a primary focus, but you should not overlook the bathrooms. If you are looking to stage your home effectively, then you’ll be doing yourself a great disservice by not paying particular attention to your bathroom. If you’re working with a realtor, then he/she can tell you that today’s buyers are looking to get a whole lot more out of their bathroom experience. 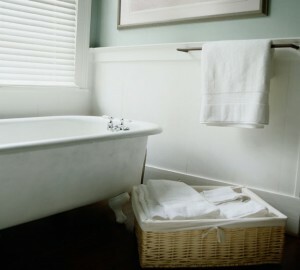 You want potential buyers to see the bathroom as their own personal oasis where they’ll feel very comfortable. You can achieve this through the right staging, and we can guarantee that it’ll be a major selling point when pulled off right. Most buyers in the Orlando housing market are going to be wary of a bathroom that presents itself as a major renovation charge. You don’t want to give them any reason for concern when it comes time to make an offer. Even if your bathroom isn’t in need of any immediate work, it’ll still be worth adding some extra touches to make it really stand out. This is a great first step to take when staging your bathroom. Take serious notes on how the colors are working in the bathroom. Is the wall color soothing and soft? Does it match well with the rest of the toiletry decor in the bathroom? Studies show that going with a color scheme that is simple and makes use of more neutral colors will have the widest appeal amongst buyers. Even if you go in another direction, be sure to stick with a consistent “temperature” throughout. This will give the room a sense of peacefulness and harmony. Next step will involve bathroom accessories. Odds are that you’re bath rugs aren’t looking that “fresh” anymore, so invest in some new bath rugs and towel sets (pick ones that match well with your chosen color scheme). It’s best to keep a set specifically for open house showings so that they always have that new and unused look that’ll appeal to potential buyers. You may also want to add a bouquet of fresh flowers. 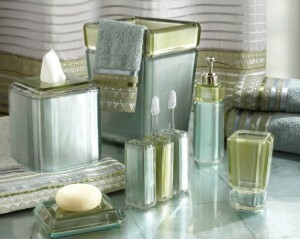 These will add an extra touch of class for a well-staged bathroom. When it comes to accessorising the bathroom, you should also consider going with a specific theme. The theme should match well to the underlying color scheme of the room and can be a little playful. Luckily, plenty of stores like Target and HomeGoods carry themed bathroom accessories at a nicely discounted fee. Follow these steps and you’ll have your bathroom looking incredible in no time! You may also want to invest in some adjustable lights or candles to add an even more relaxing ambience when buyers come visit. You’ll be pleasantly surprised by how much of a game changer a well-staged bathroom can be.